The Baker's Dozen pattern uses a total of 13 fabrics to make this darling Lap size quilt. 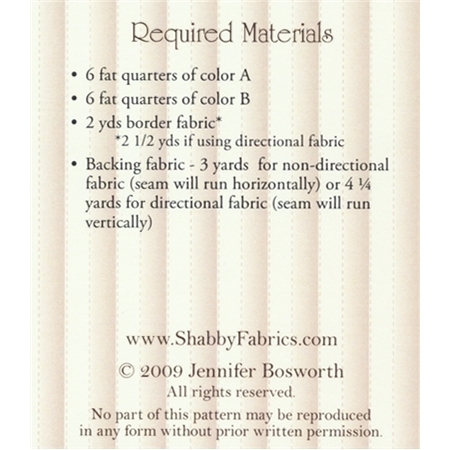 Just pick 12 fat quarters plus a border fabric! Finished size is approx 45" x 69".